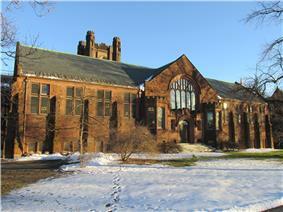 Mount Holyoke College is a liberal arts college for women in South Hadley, Massachusetts, United States. It was the first member of the Seven Sisters colleges, and it served as a model for some of the others. Mount Holyoke is part of the Pioneer Valley's Five College Consortium, along with Amherst College, Smith College, Hampshire College, and the University of Massachusetts Amherst. 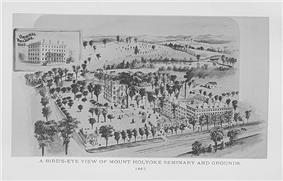 The school was founded in 1837 by Mary Lyon as Mount Holyoke Female Seminary. 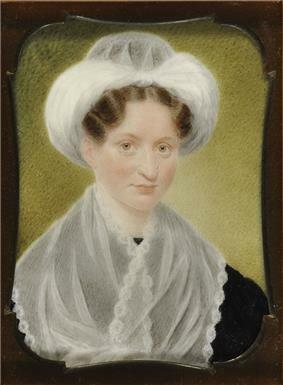 Mary Lyon had previously founded Wheaton Female Seminary (now Wheaton College) in Norton, Massachusetts in 1834. 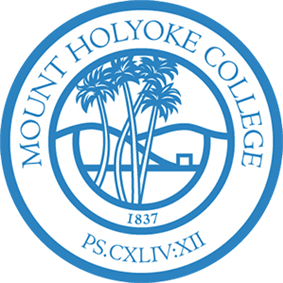 Mount Holyoke received its collegiate charter in 1888 as Mount Holyoke Seminary and College and became Mount Holyoke College in 1893. Mount Holyoke's chapter of Phi Beta Kappa was established in 1905. Mount Holyoke's buildings were designed between 1896 and 1960. It has a Donald Ross-designed 18-hole golf course, The Orchards, which served as host to the U.S. Women's Open in 2004. U.S. News & World Report lists Mount Holyoke as the 35th best liberal arts college in the United States in its 2016 rankings. Mount Holyoke was also ranked #1 in the nation for Best Classroom Experience in the Princeton Review 2010–2011 rankings. In 2011–2012, Mount Holyoke was one of the nation's top producers of Fulbright Scholars, ranking fourth among bachelor's institutions according to the Chronicle of Higher Education. Mount Holyoke's founder, Doane Academy). Prior to founding Mount Holyoke, Lyon contributed to the development of both Hartford Female Seminary and Ipswich Female Seminary. She was also involved in the creation of Wheaton Female Seminary (now Wheaton College, Massachusetts) in 1834. Mount Holyoke Female Seminary was originally chartered as a teaching seminary in 1836 and opened its doors to students on 8 November 1837. Both Vassar College and Wellesley College were patterned after Mount Holyoke. Mount Holyoke College now stands as the sister school to Ivy League Dartmouth College in NH. From its founding in 1837, Mount Holyoke Female Seminary "had no religious affiliation". However, "students were required to attend church services, chapel talks, prayer meetings, and Bible study groups. Twice a day teachers and students spent time in private devotions. Every dorm room had two large lighted closets to give roommates privacy during their devotions". Mount Holyoke Female Seminary was the sister school to Andover Seminary. Some Andover graduates looked to marry students from the Mount Holyoke Female Seminary before becoming missionaries because the American Board of Commissioners for Foreign Missions (ABCFM) required its missionaries to be married before starting their missions. By 1859 there were more than 60 missionary alumnae; by 1887 the school's alumnae comprised one-fifth of all female American missionaries for the ABCFM; and by the end of the century, 248 of its alumnae had entered the mission field. Mount Holyoke Female Seminary received its collegiate charter in 1888, becoming Mount Holyoke Seminary and College. 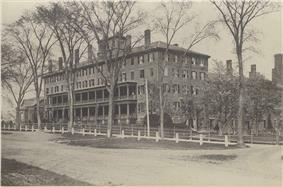 In 1893 it became Mount Holyoke College. Mount Holyoke's chapter of Phi Beta Kappa was established in 1905. It has been a sister school to Women's Christian College in Chennai, Tamil Nadu, India since 1920. In the early 1970s Mount Holyoke had a long debate under the presidency of David Truman over the issue of coeducation. On 6 November 1971 the board of trustees voted to remain a women's college. On February 28, 1987, the United States Postal Service's Great Americans Series issued a postage stamp featuring Mary Lyon, in honor of Mount Holyoke's Sesquicentennial (Mount Holyoke's 150th anniversary). At Convocation on September 2, 2014, President Lynn Pasquerella announced a new policy explicitly allowing the admission of transgender women to the college, as well as the admission of students whose gender identities are non-binary. Mount Holyoke offers 50 departmental and interdepartmental majors, including the option to design a special major. The primary degree conferred is the Bachelor of Arts (BA) degree, for which students complete 128 semester credits (one standard course equals 4 credits). At least 68 credits must be earned from course work outside the major department, across the three curricular divisions: humanities, science and mathematics, and social sciences. Study of a foreign language and completion of a multicultural perspectives course are also required. In addition to the BA, Mount Holyoke offers three master's degrees: a coed master of arts in teaching, a master of arts in mathematics teaching, and a master's in psychology. Other programs include dual-degree programs in engineering with the California Institute of Technology, the Thayer School of Engineering at Dartmouth College, and the University of Massachusetts Amherst; the Frances Perkins Program, for women over the age of 24 who wish to complete the requirements for a bachelor of arts degree; and the Postbaccalaureate Studies Program, for students who have already earned an undergraduate degree and wish to complete additional course work in preparation for graduate work in medicine, nursing, veterinary medicine, dentistry, or physical therapy science. Mount Holyoke’s membership in the Five College Consortium allows students to enroll in courses at Amherst College, Smith College, Hampshire College, and the University of Massachusetts Amherst. They may also complete one of 12 Five College Certificates—among them African studies, Buddhist studies, coastal and marine sciences, cognitive neuroscience, international relations, and Middle Eastern studies—in lieu of a minor. Four academic centers—the Weissman Center for Leadership, the McCulloch Center for Global Initiatives, the Miller Worley Center for the Environment, and the Science Center—support the academic program through public lectures by visiting scholars, conferences on issues of pressing concern, mentoring and internship opportunities, and hands-on learning experiences. The Weissman Center’s Speaking, Arguing, and Writing (SAW) Program provides opportunities for developing leadership and communication skills, including the ability to effectively frame, articulate, and advocate positions. The Community-Based Learning Program links students with community-based organizations in courses that combine analysis and action. Mount Holyoke has study abroad programs and exchanges for full-year or semester study in South Africa. Each year more than 200 Mount Holyoke students, representing approximately 40 percent of the junior class, study for a semester or academic year at universities and programs abroad. Mount Holyoke’s library includes more than 740,000 print volumes, 1,600 periodicals, and more than 140,000 electronic resources. Through the Five College Consortium, students have access to more than 8 million volumes. Computer support is provided. The MEWS (Mediated Educational Work Space) supports collaborative multimedia learning with group project rooms, wall-mounted plasma displays, a digitization center, and a faculty development area. In 2013, "Clear and Gold Tower," a glass sculpture by Dale Chihuly, was installed in the Williston Library's atrium. A number of faculty are nationally and internationally recognized for their research and writing achievements, including Christopher Benfey (literary scholar), Joseph Ellis (historian), Susan Barry (neurobiologist), Mark McMenamin (geologist and paleontologist) and Becky Wai-Ling Packard (psychologist). Student research projects, undertaken in collaboration with faculty, have made significant contributions to the sciences and other fields of study. Harwarth, Irene B. "A Closer Look at Women's Colleges." National Institute on Postsecondary Education, Libraries, and Lifelong Learning, Office of Educational Research and Improvement, U.S. Department of Education, 1999. Harwarth, Irene B., Mindi Maline and Elizabeth DeBra. "Women's Colleges in the United States: History, Issues, and Challenges: Executive Summary." U.S. Department of Education National Institute on Postsecondary Education, Libraries, and Lifelong Learning. ^ Master of Arts in Teaching (M.A.T.) | Mount Holyoke College. Mtholyoke.edu. Retrieved on 2013-09-07. ^ Master of Arts in Mathematics Teaching. Mathleadership.org (2012-05-14). Retrieved on 2013-09-07. ^ Master of Arts in Psychology | Mount Holyoke College. Mtholyoke.edu. Retrieved on 2013-09-07. ^ Chihuly Sculpture Debuts at MHC | Mount Holyoke College. Mtholyoke.edu (2013-08-23). Retrieved on 2014-04-12. ^ Note: These facilities serve traditional all-you-care-to-eat dining to any student who has a meal plan. All residential students are required to be on a 21-meal board plan and can access any of these dining halls to obtain their meals. Mount Holyoke is referenced in works of theater, film, and popular culture. Wendy Wasserstein's 1977 play, Uncommon Women and Others, is based upon Wasserstein's experiences at Mount Holyoke of the early 1970s. The play explores the lives of the fictional characters Carter, Holly, Kate, Leilah, Rita, Muffet, Samantha, and Susie. Two feature films reference Mount Holyoke of the 1960s. The first is the 1987 film Dirty Dancing which is set at a summer resort in the Catskills in the summer of 1963. The protagonist Frances "Baby" Houseman (named after Mount Holyoke graduate Frances Perkins) plans to attend Mount Holyoke in the fall to study economics of underdeveloped countries and then to later enter the Peace Corps. The second is the 1978 film National Lampoon's Animal House which is set in 1962. It satirizes a common practice up until the mid-1970s, when women attending Seven Sister colleges were connected with or to students at Ivy League schools. In the film, fraternity brothers from Delta house of the fictional Faber College (based on Dartmouth College) take a road trip to the fictional Emily Dickinson College (Mount Holyoke College)—in real life, Mount Holyoke and Dartmouth are unofficial brother-sister schools. The main article provides a list of individuals associated with Mount Holyoke through attending as a student, or serving as a member of the faculty or staff. Mount Holyoke offers 14 varsity sports programs and seven competitive club sports teams. The College is a member of the National Collegiate Athletic Association (NCAA) Division III and the New England Women's and Men's Athletic Conference (NEWMAC) as well as the NERC (the New England Rowing Conference). Facilities include a lighted synthetic multipurpose turf field surrounded by an eight-lane track with a nine-lane straightaway; Kendall Sports and Dance Complex housing a swimming pool and separate diving well; gymnasium with basketball, volleyball, and badminton courts; weight room; cardiovascular area; 1-acre (4,000 m2) field house with indoor track and tennis courts; squash courts; racquetball courts; and three studios for dance, aerobics, yoga, and other activities; The Orchards, an 18-hole golf course designed by Donald Ross (home to the 2004 U.S. Women's Open); and a 60-stall Equestrian Center with two indoor arenas (100' x 256' and 70' x 130'), an outdoor show ring, permanent fibar dressage arena, outdoor cross-country courses, and a boathouse finished for Spring 2010. The Laurel Parade takes place the day before commencement. Graduating seniors wear white and carry laurel garlands, in a parade to Mary Lyon's grave. They are escorted by approximately 3,000 alumnae, also in white, who thereby welcome them into the Alumnae Association. Once at Mary Lyon's grave, the garland is wound around the cast-iron fence, and the Mimi Farina song "Bread and Roses" is sung by all in attendance. White is a tribute to those who fought for women's suffrage. In 1970 students voted to replace the laurel with signs protesting the Vietnam War. Baccalaureate is held in Abbey Chapel; the medieval German ode to Academe, "Gaudeamus Igitur" is sung by berobed Seniors and Faculty during the procession. Following convocation, Faculty line the path to Mary Lyon's grave. Seniors walk through this throng, to the grave (to place a wreath). Canoe Sing is an event which takes place prior to commencement in which canoes are decorated with lanterns and paddled by seniors singing Mount Holyoke songs. They are joined by fellow graduating seniors on shore. Convocation marks the beginning of the academic year. All students attend wearing their class colors, and seniors wear their graduation gowns to celebrate the start of their final year. Founder's Day is held on the Sunday closest to 8 November (the date of the opening of Mount Holyoke in 1837). It was begun by Elizabeth Storrs Mead in 1891. The current version of the tradition includes ice cream being served early in the morning near Mary Lyon's grave. The current President of the College and select faculty are invited to scoop ice cream for the Senior Class who dons their gowns. Elfing is a tradition shared between sophomores and first years. Secret sophomore "elves" leave presents and treats for their first years throughout the weeklong event. On the final day, the first years get to meet their elves in person at a special M&C's. Big/Little Sister is a reference to the pairing of juniors and "firsties" (or first-years) who are paired up to take part in organized events together. Coordinated by the Junior Class board. Mountain Day begins with the sound of ringing bells from Abbey Chapel on a beautiful autumn morning secretly chosen by the President of the College and all classes are canceled for the day and many students hike to the summit of nearby Mount Holyoke. The Junior Show (also known as J-Show) refers to a show created by Juniors (and a few professors) who parody life at Mount Holyoke. A common feature is a sketch mocking the president and dean of the college, along with well-known professors. The Faculty Show takes place once every four years, around 1 April faculty members create a show which parodies themselves and their students. The Kathryn Irene Glascock Awards, grants The Glascock Prize to the winner of this annual event (which has been held at Mount Holyoke since 1924). Mount Holyoke offers a number of student groups and organizations. Themes include Art, Academics, Club Sports, Entertainment & the Performing Arts, Politics & Activism, Governing Organizations and Religious organizations. Mount Holyoke has a student population of 2,300. Students come from "48 states and nearly 70 countries. Two-thirds of the student body are Caucasian American; one-third is an international student or African American, Asian American, Latina, Native American, or multiracial. Thirty-six percent of incoming first-year students were in the top five percent of their high school classes". Mount Holyoke also attracts a large international population. Students may enroll in classes at Amherst, Hampshire, and Smith Colleges as well as the University of Massachusetts, Amherst through the Five College Consortium. WMHC (91.5 FM) is a radio station licensed to serve South Hadley, Massachusetts. The station is owned by Mount Holyoke College and licensed to the Trustees of Mount Holyoke. Mount Holyoke is a member of the Pioneer Valley's Five College Consortium, the Consortium of Liberal Arts Colleges, the Annapolis Group, and the Oberlin Group. It was a part of The New College Plan. It is currently a part of The Consortium on Financing Higher Education and The Knowledge Corridor. Wilder was built in 1899 in memory of Mary Ware Wilder, by her husband Charles Wilder. It houses 101 students and the kosher/halal dining hall on campus. The Office of AccessAbility Services is in the basement of this building. Torrey Hall was known as Lakeside when it was built during 1948 and 1949, and was later renamed for Louise [Torrey] Taft, who was a member of the class of 1845 and who was the mother of William Howard Taft. Lakeside was designed by architect Douglas Orr, who had designed Emily Abbey Hall. Torrey houses 126 students on four floors and a mezzanine, and contains a dining hall. Safford was built in 1897, and is the second-oldest residence hall on campus. Safford houses 70 students, and is also the location of the Ombudsperson's Office and the Office of Residential Life. Rockefeller Hall was built in 1924, and is divided into the North Rockefeller and South Rockefeller halls, though both make up a single building and are served by a dining hall. North Rockefeller houses 93 students, while South Rockefeller houses 89 students. The original Rockefeller Hall, built with $200,000 donated by John D. Rockefeller, stood for 24 years on the same spot, only to be destroyed in a fire on December 21, 1922. When students returned to school in January 1923, the former Rockefeller residents slept on the floor of Blanchard Gymnasium and ate in an improvised dining hall as they fund-raised for a replacement. John D. Rockefeller Jr. donated $175,000 toward the replacement of the building his father had funded. Prospect houses 143 students on five floors, and is home to a dining hall. The building was built in 1959. A domesticated goose commonly known as Jorge sometimes begs for food from the students who sit at outdoor tables to eat. Porter Hall has three floors and a basement, and houses 97 students as well as the Sociology and Anthropology department. Pearsons Annex houses just a small number of students, and over the years has been used as a home for Frances Perkins Scholars as well as several living learning communities. It was originally purchased by the College to use as housing for freshmen. Pearsons Hall dates to 1897, and is named for Daniel Kimball Pearsons. Pearsons has four floors and can house 136 students. Mead hall dates to 1901. It is near Blanchard Student Center and Skinner Green, in a central location on campus. It is named for Elizabeth Mead, who was president of Mount Holyoke College from 1890 to 1900. Mead houses 144 students, in four floors and a basement. The complex now commonly referred to as "the Mandelles" or "the Delles" was originally known as Hillside, after it was constructed in 1923. North Mandelle Hall has four floors with space for 113 students, and South Mandelle Hall has four floors with space for 90 students. The third floor of North Mandelle is one of the specially-designated quiet floors on campus. MacGregor was constructed in 1957 and named for Ruth MacGregor, a member of the class of 1910. It houses 132 students on five floors of single, double, and triple rooms. Ham Hall, named after Roswell Gray Ham (a former president of the college), houses 155 students in singles, doubles and quad rooms. Ham is home to foreign language fellows and a variety of language tables. Dickinson House was originally built as a faculty dormitory in 1916. This dormitory is in the middle of being refurbished, and houses solely women who are enrolled as Frances Perkins Scholars. Creighton Hall is divided into two separate halls, Creighton Hall North and Creighton Hall South, in one building. It was completed in 2008, and is the first new residence hall on campus in more than 40 years. The hall was renamed after Joanne V. Creighton upon her retirement as president of the College in 2010. Creighton Hall is organized in suites, with both in-suite common areas and general common areas. 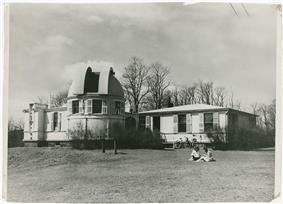 Built in 1957 and designed by Douglas Orr, Buckland was the second residence hall to be built on the south end of campus. 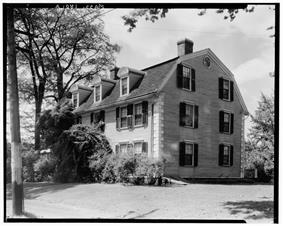 It is named for the town of Buckland, Massachusetts, birthplace and burial site of Mary Lyon. Buckland has four stories and a basement and houses 120 residents. Brigham Hall was built in 1897, the same year as Safford and Porter. It was the first building to be completed after a fire devastated the campus in 1896. Brigham is named for Mary Brigham, who had been expected to become President of the College in 1889, but who had been killed in a train accident before she could assume the office. Brigham has a capacity of 85 students. 1837 Hall was constructed in 1962, and is named for the year the original Mount Holyoke Seminary was founded. 1837 houses 157 students in single, double, and triple rooms; and has a full kitchen and student lounge. The college has 17 residence halls as well as apartments and "annex" spaces in which to house students, and an overwhelming majority of students live on campus. Each residence hall reserves a quarter of its rooms for housing first-year students  with the exception of Pearsons Annex, which is reserved for living learning communities, and Dickinson House, which is reserved for Frances Perkins Scholars. Most residence halls house students from all four class years at any given time. Six of the residence halls have full dining halls, and seven of the halls serve continental breakfast. Residence halls have a variety of architectural styles and ages. Mount Holyoke is also close to the cities of Amherst and Northampton as well as to two malls: Hampshire Mall and Holyoke Mall. 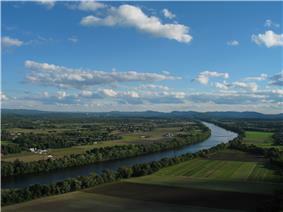 The Mount Holyoke Range State Park is also close to the campus. The college is named after the westernmost mountain of the range Mount Holyoke which was named by colonial surveyors in the 1600s. The home of Benjamin Ruggles Woodbridge, known as "The Sycamores", served as a dormitory for the college from 1915–1970. The mansion, built in 1788 by Colonel Woodbridge, is on the National Register of Historic Places. John Payson Williston Observatory (1881) was given in memory of the Williston's eldest son and built to be ready for the rare transit of Venus in 1882. It is the oldest academic building on campus. Seminary Building, Mount Holyoke Female Seminary, viewed from the southwest, South Hadley, Massachusetts, 1886. The Seminary Building (1837) contained classrooms, parlors and rooms for students and faculty, the original library, and a periodical reading room. A south wing was added in 1841, a north wing in 1853, a gymnasium and laundry in 1865. All were destroyed by fire in 1896.